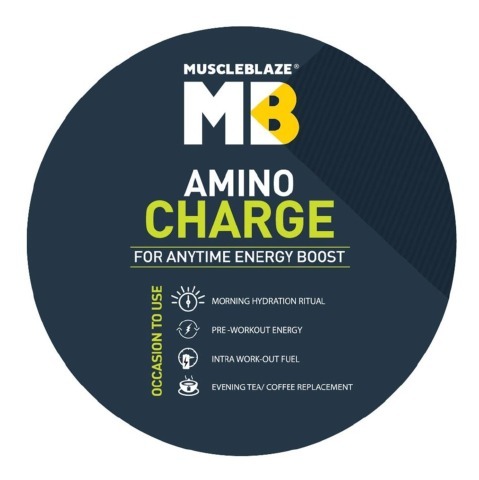 MuscleBlaze Amino Charge is a cumulative amino acid fuel with 13 amino acids to help promote muscle synthesis and faster muscle recovery. 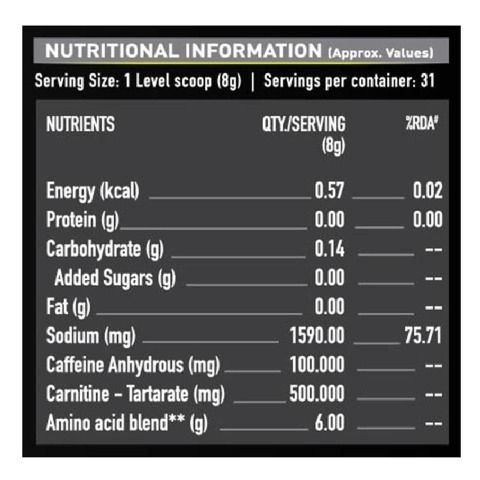 Some amino acids are naturally synthesized in the body while some can be obtained through the diet we consume. 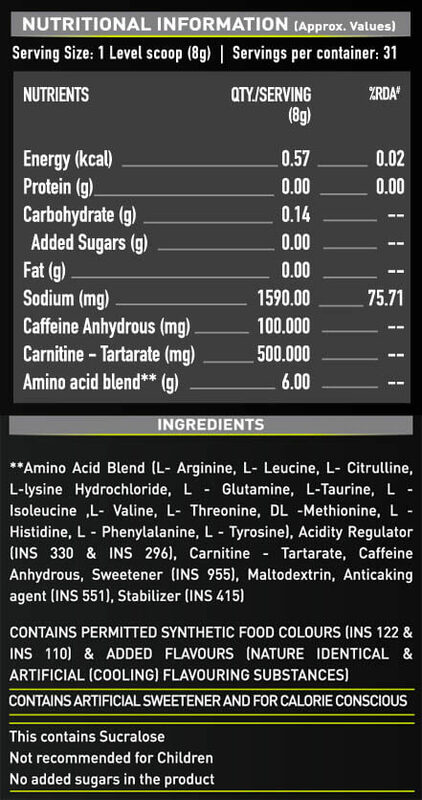 Amino Charge is formulated with 13 amino acids with 8 essential amino acids which are not synthesized in the body. 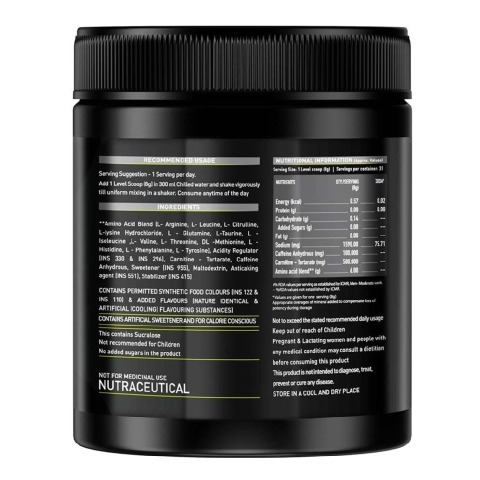 This amino acid supplement is loaded with other enzymes to add more to your everyday workouts & hectic routines. 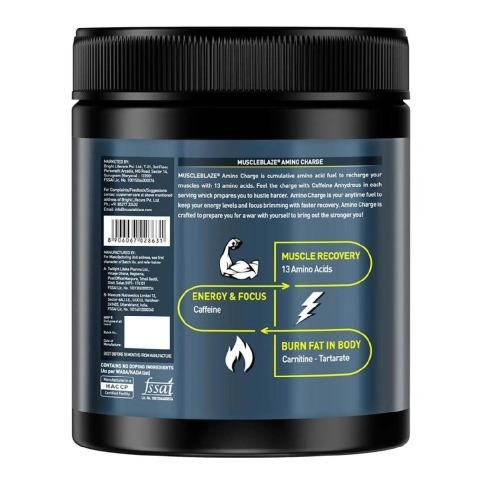 Made available in refreshing Melon Twist flavor, this anytime energy drink can be savored as a replacement for unhealthy beverages to help sooth your body and promote muscle synthesis at the same time. 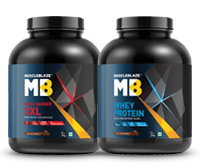 Amino acids are the building blocks of protein and our body needs plenty of them to help replenish the amino acids lost during workouts as they help promote faster muscle recovery. With other enzymes to support energy, focus, and weight management, this amino acid fuel is a must have for your workout stack. 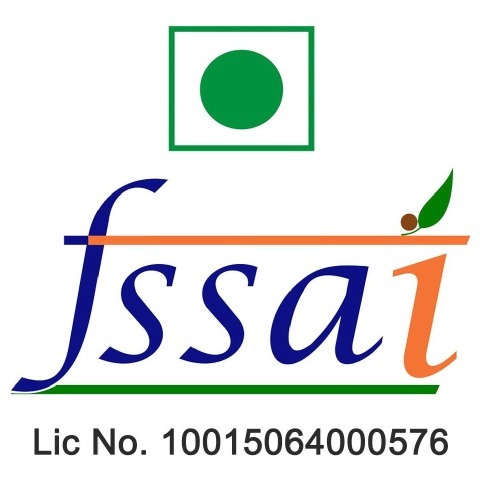 Amino Acids: Our food contains protein which is made by binding of amino acids and when we consume the food, the protein breaks down in amino acids which support the synthesis of muscle tissues. 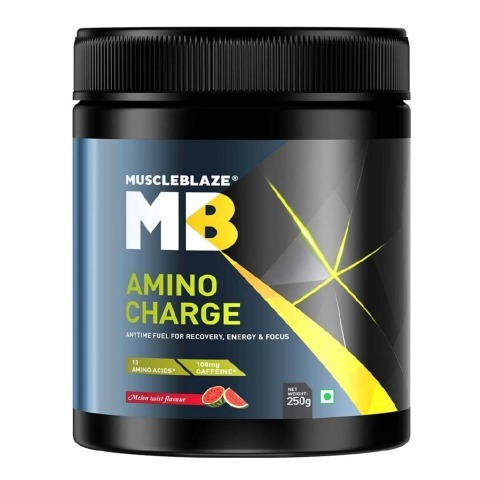 Amino Charge contains 13 amino acids which help support protein synthesis by providing anabolic support and result in faster recovery during your workouts. Carnitine -Tartrate: Carnitine acts as a transporter of fats in the body carrying them to the cells where they are oxidized and used as fuel source while reducing the accumulated fats in the body. 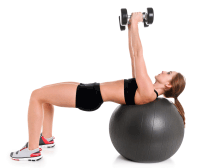 Caffeine Anhydrous: Strenuous workouts often make you hit the wall even before your target reps are achieved. 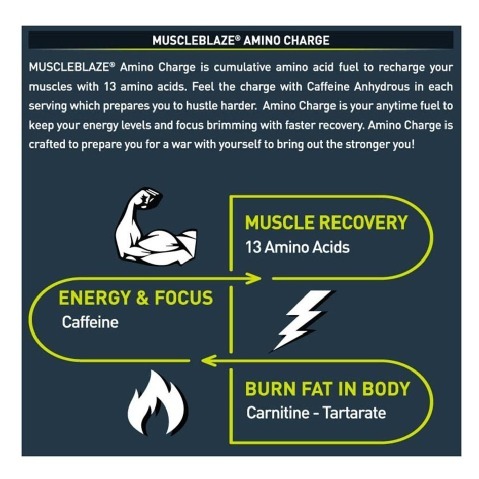 Amino Charge is loaded with Caffeine Anhydrous which helps build focus and keeps you brimming with energy throughout the workout to bring the best out of your efforts. 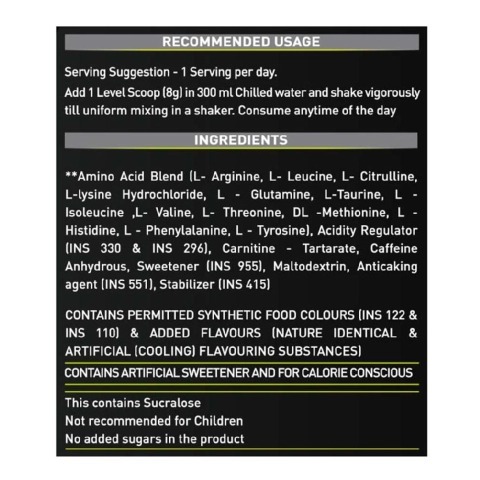 Occasion to Use: Amino Charge is formulated to fuel your mind and body and refill your amino reservoirs which help you stay active & energetic. You can choose to use it as your morning hydration ritual, pre- workout energy, intra- workout fuel or as a replacement to your evening beverages. Available in refreshing melon twist flavor, this amino acid supplement can be enjoyed as a refreshing summer cooler drink anytime.